If you have seen the latest television special from Traeger and are looking for Traeger Renegade Elite reviews then I have got you covered. There are a bunch of questions that people have about the Renegade and I will do my best to answer them. Do Pellet Grills Actually Work? For a lot of folks the first time they have ever heard about a pellet grill is from the Traeger ads and they want to know if these things actually work or if they are a gimmick. Yes, pellet grills work great and have a long track record of performance. Traeger was the first manufacturer of pellet grill many decades ago and they know how to put together a fine machine. Many teams on the competition barbecue circuit use pellet grills for their ability to dial in a temperature and produce a consistent product cook after cook. The only place where pellet grills fall short is in their ability to reach high temperatures for searing steaks and getting seriously crispy chicken skin. The Renegade can get you into the 425F range but that’s about all she has got in her. Keep in mind that you were watching an infomercial and that there is a lot of hype built into the advertisement. But in general, yes, the Renegade pretty much works as advertised. 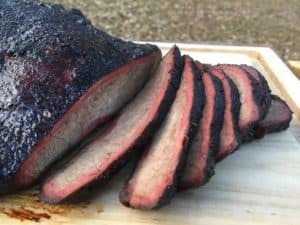 Is Traeger a Good Company to Buy From? Traeger is a US based company that pioneered the pellet grill concept over 30 years ago. Traeger held the original patent on pellet grilling technology which allowed them to dominate the market for a long time. In recent year competition in the pellet grill market has increased and Traeger has responded by upgrading and improving their grills. Traeger has excellent customer service and an extremely loyal customer fan base. The Renegade Elite comes with a three year warranty and Traeger has a track record of honoring all claims. They aim to make their customers happy. So, yes, Traeger is a fine company to buy from. Is the Traeger Renegade Elite the Right Grill for You? Here is where things get tricky. You will not be unhappy if you buy the Renegade but there are other options you ought to look at first. Let’s start by stripping out the extras that come with the Renegade and just focus on the grill itself. The Renegade comes with 40 pounds of hardwood cooking pellets that are worth about $40. It also comes with a grill cover that is worth about $45. There are other extras that come with the grill but I don’t put any value on them. So…let’s take the $750 sales price and strip out $85 worth of extras and we have a grill that costs about $665. Let’s use that cost as a comparison point. 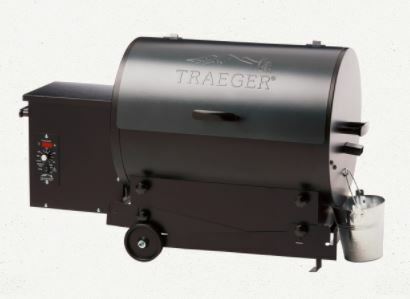 Traeger offers over 20 different pellet grills and several are about the same size and cost of the Renegade. All of the Traeger grills get great reviews so you will not be losing anything in quality by switching up models. 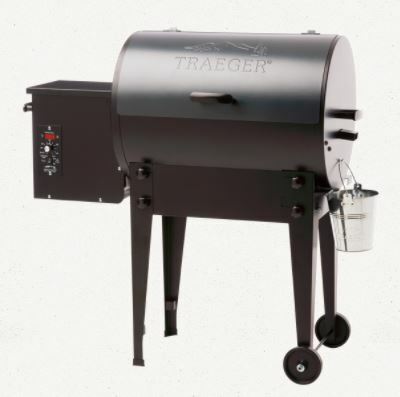 If you want a Traeger pellet grill but are interested in saving some money then you ought to look at the Traeger Tailgater Grill. If you really like the idea of a Traeger grill and want to get something better than the Renegade then you ought to take a peek at the Traeger Lil Tex Elite 22. The Lil Tex Elite 22 has the same functionality of the Renegade and Tailgater but is a little bigger coming in with 418 square inches of grilling space compared to 380 on the Renegade. The Lil Tex Elite 22 only costs a few dollars more than the Renegade with an MSRP of $699. 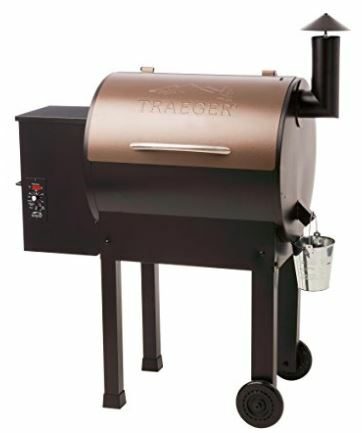 While Traeger makes an excellent product they are priced at a premium. If you are interested in getting all of the functionality and ease of a pellet grill and are willing to consider other brands then check out this article on The Best Pellet Grill for the Money.